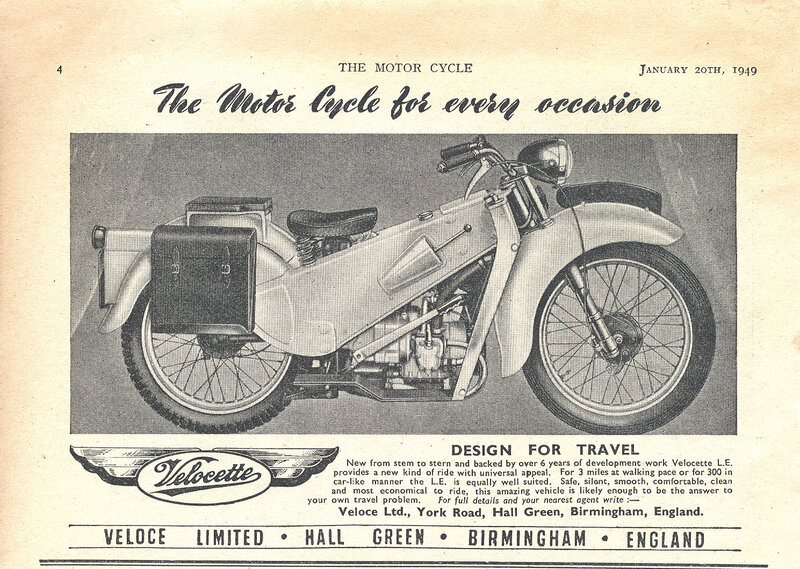 Founded by John Taylor and William Gue in 1905, Velocette is a motorcycle company in Birmingham, England. There were actually several motorcycle manufacturers in the area of Birmingham at this time. Velocettes was a small firm, selling far fewer hand-build motorcycles than the much larger BSA brand. However as small as the brand was, it was a great technical innovator. Many of its patented designs are even common on motorcycles today, including features such as the positive-stop foot shift and swinging arm rear suspension with hydraulic dampers. The first motorcycle built by the brand, in 1906, was called the Veloce. The 2 hp Veloce was built as a one-off, and in 1907 John Taylor’s sons Percy and Eugene Goodman established New Veloce Motors to produce a car. The car never entered production, however the new company offered general engineering services and other non-motorcycle products. A year later, Veloce Ltd. began working on a new motorcycle, with an engine designed in-house. Six years later the company released the first two stroke motorcycle, nicknamed Velocette, a name which was kept and used for the next series of bikes, including the K series, officially introduced in 1925. The K series of Velocettes have been used as platforms for the KSS, KTS, KTP, and KNN roadsters, motorcycles which were in production until 1948. In the following years, Velocette Motorcycles launched multiple new models and redesigned older models to become more advanced and equipped with new technologies. Although the Velocette Brand has a rich history, the late 1960’s were the last years of production. Veloce Ltd. Closed in February 1971. This year is momentous for many classic car enthusiasts. Why is that? A number of classic vehicles are celebrating their 50th anniversary, and most of these classics were quite loved. In fact, 1964 introduced two of American’s most-loved muscle cars- the Pontiac GTO and the Mustang. 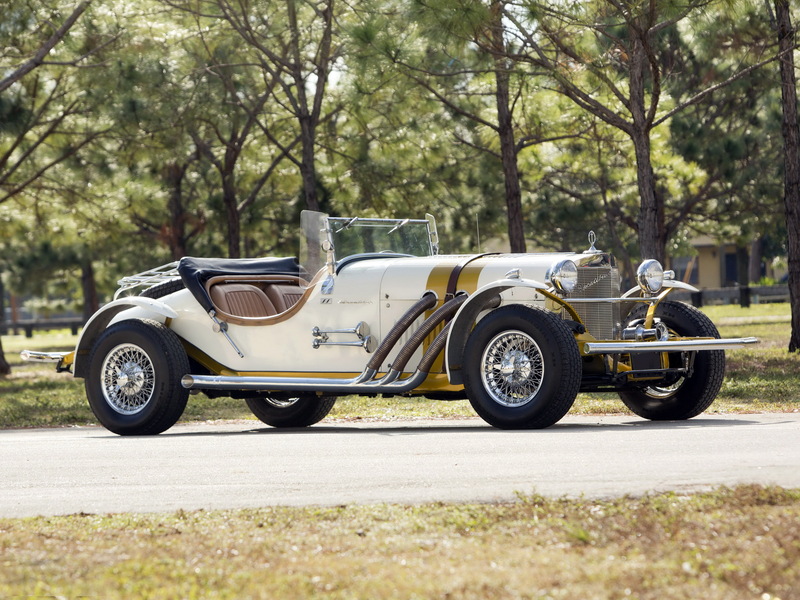 Another notable classic car celebrating 50 years is the Excalibur. These classic cars are considered by many to be icons worth spotlighting. We highlighted the ’64 Pontiac GTO in a previous post, pointing out how this was considered a car with “attitude”. The vehicle had a bigger V8 than previous cars, hood scoops, dual exhausts, a Hurst shifter, racy trim, and a name inspired by the Ferrari 250 GTO. 1964 was the first year the Pontiac GTO was introduced, and first-year orders came to about six times the number Pontiac management expected! The Ford Mustang was brought out five months before the normal start of the 1965 production year, introduced on April 17, 1964 at the New York’s World Fair. Due to its early introduction, it was dubbed as the “1964 ½” model. The Ford Mustang has been credit for inspiring the designs of coupes such as the Toyota Celica and Ford Capri, which were imported to the U.S. In 1964, Studebaker consultant and renowned industrial designer Brooks Stevens sketched out a concept car on a restaurant place mat. He had been asked to design a “show car” for the 1964 New York Auto Show, and Studebaker wanted a “show stopper” for their exhibit, according to sources from conceptcarz.com. The prototype was built in just eight weeks, and although Studebaker initially decided to phase out production, over 3,500 Excalibur vehicles have been shipped to dealers and distributors around the world since 1964. 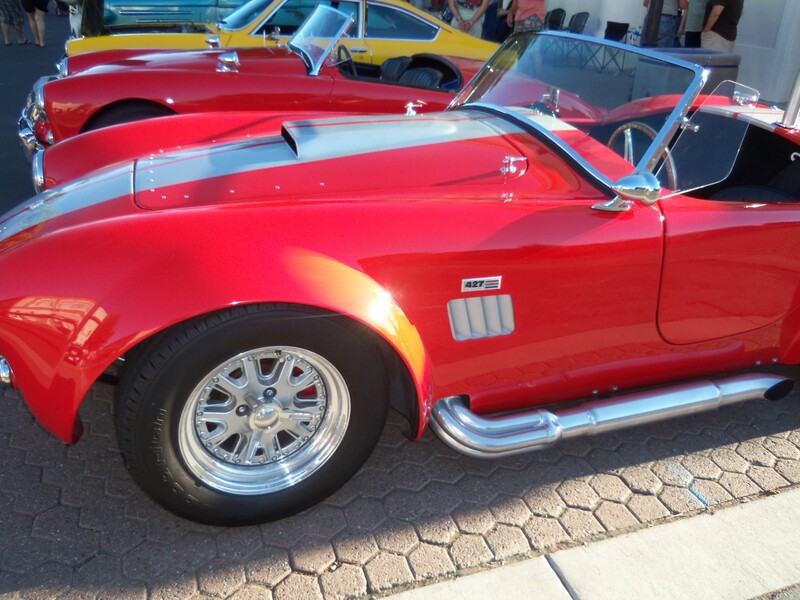 No matter what type of Antique or Classic Car you own, we can insure it at Condon Skelly. Since 1967, we have been helping our customers protect their classics with affordable, industry-leading insurance coverage. We are a group of collectors, enthusiasts, and professionals who specialize in insuring all types of collector vehicles. Please contact us today for more information. In November 2013, we discussed a couple reasons why classic cars make a good investment. Financial advisors today are looking at classic cars for investor’s profiles, and many classic cars are rising in value. However, although classic cars can definitely be a good investment, it’s imperative to consider your purchase and make sure that investing in any particular classic car will be a good fit for you. Classic cars carry the potential for a huge profit if you plan on refurbishing (correctly) it and selling it. They also have a “cool” factor which is the appeal for many collectors. But before you make a classic car investment, there are many things to consider. Ryan Guina, classic car owners and publisher of Cash Money Life, states that you should never buy a classic car on a whim. “It’s important to familiarize yourself with the market before buying so you know you’re getting a reasonable deal,” he says. In addition to being mindful about your classic car investment, you should think about whether you will need or want to drive this vehicle on a regular basis. It’s not typically recommended that a classic car be an everyday vehicle, for wear and tear purposes as well as classic car insurance purposes. While you may not want to purchase a classic car you aren’t going to do anything with, you also don’t want to devalue the car or need to pay high auto insurance premiums. One more factor to consider when making a classic car investment is maintenance costs. If you are only driving the vehicle minimally, you may not ever need extensive repairs. However should something happen, it’s important to realize that classic cars can be expensive to fix since parts are not always readily available. Most classic car enthusiasts by now have heard of the sinkhole that occurred in early February 2014 and damaged 8 of the classic and antique Corvettes on display at the National Corvette Museum in Kentucky. Fortunately, no people were present at the time that the sinkhole happened. Luckier still, the official insurance agent for the museum says there is no coverage concerns regarding the incident. Michelle Montgomery, director of quality control, said that they had tailored coverage to fit the needs the museum, adding that the value of the vehicles are based on appraisals the museum obtains regularly and insured to an agreed amount in the policy. Although the vehicles affected will be restored to their full monetary value, car enthusiasts and museum employees are glad the situation wasn’t any worse, given the unique and rare cars they have on hand. In fact, client services manager and claims manager Phyllis Milliner says that some of the most valuable cars they have were spared from the sinkhole, even though they were only feet away. One of these vehicles that seems to be particularly fortunate is the 1983 Corvette. If you are asking yourself, “What 1983 Corvette?” you aren’t alone. There has been a general consensus amongst those who know the Corvette’s history that there was no 1983 model. This model year Corvette was never actually released to the public, as it featured so many advances that it would have taken too much time to validate and go through the government-approval process. Over 40 1983 Corvettes were actually made, however they were all either destroyed, or repurposed for the 1984 model year; all except for the one in the National Corvette Museum. 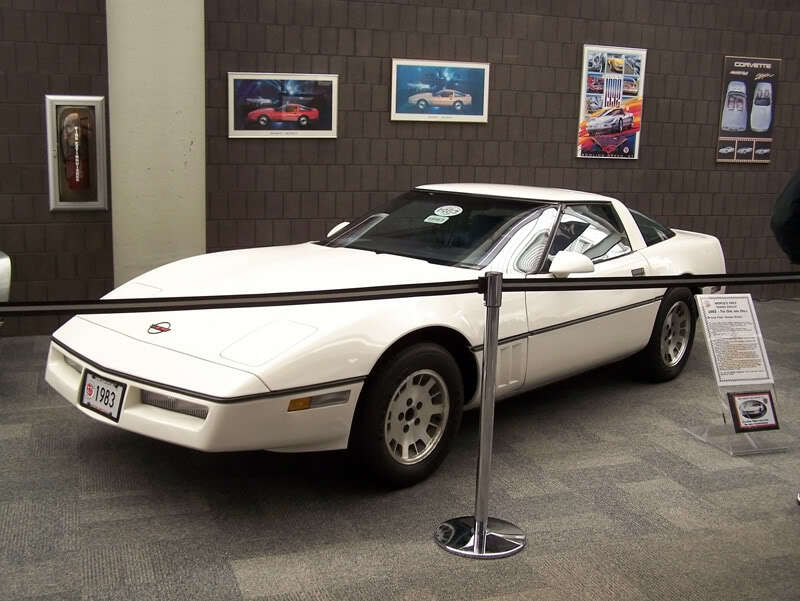 The museum’s communications coordinator Bob Bubnis speculates that it would have been catastrophic had the only existing 1983 Corvette been lost in the sinkhole. He said that after the sinkhole, the vehicle was safely removed from the area as soon as people were able to safely get into the Skydome. People are calling this unique vehicle a “legend” that will keep living on as the years go by. Whether you own a classic Corvette or any other type of classic or antique car, it’s important to protect it financially with the right type of Classic Car Insurance Coverage. At Condon Skelly, we know how exciting it can be to start a classic car collection. We’ve been helping our customers protect their classics with affordable, industry-leading insurance coverage since 1967. We’re a group of collectors, enthusiasts, and professionals who specialize in insuring all types of collector vehicles. For more information, please contact us today at (866) 291-5694. Norton Motorcycle Company, formerly known as Norton Motors, Ltd., is a British motorcycle marque, originally from Birmingham, UK. The company was founded in 1898 by James Lansdowne Norton. His business was started in order to produce bicycle chains, but a short four years later they began manufacturing motorcycles with imported engines. In 1907, a Norton won the first International Isle of Man Tourist Trophy Race (TT), which is a motorcycle racing event, held on the Isle of Man. For many years, this was the most prestigious motorcycle race in the world, and it remains statistically the most dangerous race in the world. By 1910, there were eight models of Norton motorcycles, two with Norton-built engines. JL Norton was arguably a better engineer though than business administrator, and by 1913 his company was on the verge of insolvency. Fortunately, it was saves by one of its creditors, forming Norton Motors Limited, which secured a government contract to supply the Russian army with engines during the First World War.The famous Norton logo appeared around this time. Although James Norton passed away in 1925, the Norton brand lived on. During the 1930s, the company cemented its place in racing history, winning seven of the nine TT races between 1931 and 1939, when the factory started to produce the 100,000 bikes it built for the war effort. 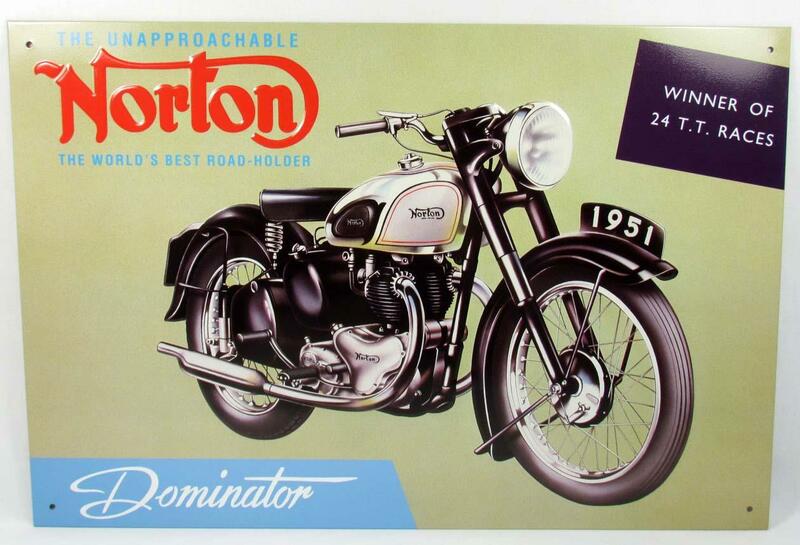 In 1949, Norton introduced the Dominator model and continued to race successfully, but got into financial trouble again in 1953, and was sold to Associated Motorcycles. Production was then shifted to London. 13 years later, the company was bought by Manganese Bronze Holdings and re-launched as Norton-Villiers. An injection of new capital resulted in the development of the first Commando. In 1972, Norton-Villiers merged with the BSA-Triumph Group. However, the industrial unrest and reductions in Government subsidies led the company into receivership in 1974. Norton was re-launched yet again in 1988 with production in Lichfield, but did not make as much of an impact as they did previously. During the mid-90s there were attempts to consolidate Norton and start producing bikes in the U.S. This eventually happened when the company was bought by Stuart Garner in 2007. Whether you own a classic Norton motorcycle or any other type of antique bike, it’s imperative that you protect your investment with the appropriate Antique Vehicle Insurance policy. At Condon Skelly, our goal is to keep your insurance costs low so that you can spend more time on the road. Our policies cost about 60% less than standard auto insurance companies, and they’re designed specifically for unique needs of classic and collector cars and motorcycles. Please Contact Us today for more information!